Find a vacation home to rent in Furore from our list of vacation rental properties. Campaya has over 8 vacation homes available in Furore, which give you the possibility to locate a unique accommodation in Furore which completes your check-list in search for the perfect self catering vacation apartments in Furore or vacation villas in Furore. This house is situated in Furore, in the upper part of the Amalfi coast. Nice apartment with beautiful panoramic terrace in Furore. 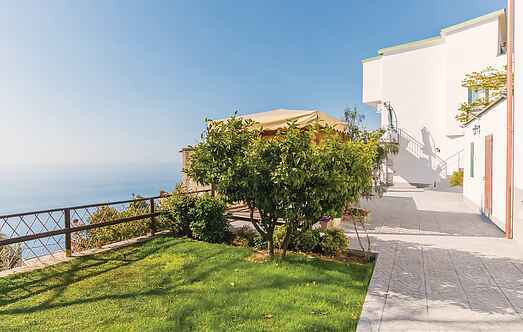 Great starting point for excursions to the Amalfi coast.Apartment reachable from the street through 70 steps. Nice apartment with beautiful panoramic terrace in Furore. Great starting point for excursions to the Amalfi coast. Apartment reachable from the street through 70 steps. Holiday apartment in a house divided in three separate units. This property is situated along the beautiful Amalfi coast between Amalfi and Positano and only 7 km from Conca Marini. Nice apartment in Furore in the province of Salerno with great view over the beautiful sea of Amalfi Coast. On the terrace you can enjoy your alfresco dining enjoying the panorama. Holiday apartment in a 3-family-house in Furore situated along the beautiful Amalfi coast between Amalfi and Positano at 7 km from Conca Marini. Apartment with panoramic terrace in Furore, a good starting point for excursions to the Amalfi Coast. The apartment is reached via 70 steps. Some distances: Amalfi approx.